The iconic seaweed drying hut at Freshwater West beach in Pembrokeshire. Taken on a misty night and illuminated by a hand torch, the constellations of Orion, Pleiades among other stars. 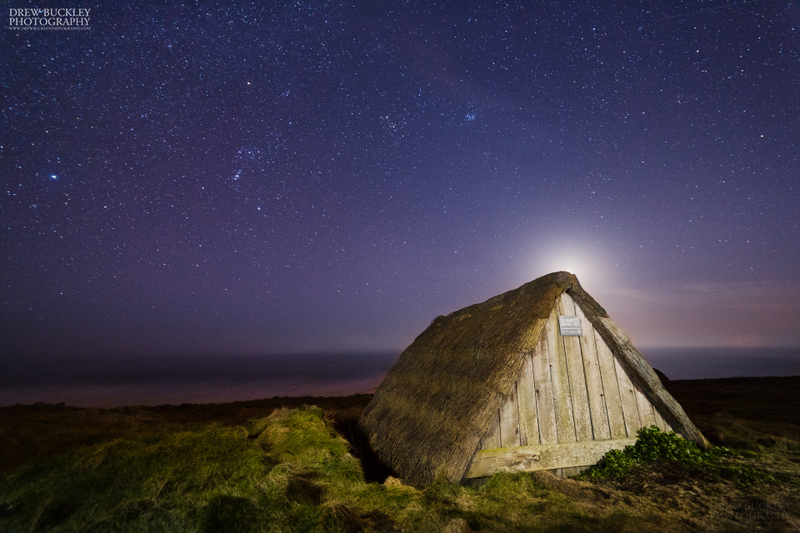 The setting crescent moon positioned behind the apex of the hut.